Item #FMSMDPWBL - Acts as a portable attach� case! Description: Acts as a portable attaché case! Super durable polypropylene wallet expands to 5 1/4". 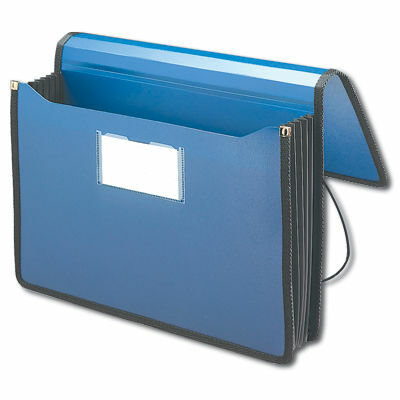 Generous width allows top tab file folders to fit without bulging side gusset. Sewn-in, full perimeter reinforced black rubber gusset. Clear pocket on front includes index card insert.